AB de Villiers: “It’s not about earning more somewhere else, it’s about running out of gas and feeling like it’s time to move on. ‘Tired’ South African captain AB de Villiers retires from international cricket Last updated 02:28, May 24 2018 GETTY IMAGES AB de Villiers: “It’s not about earning more somewhere else, it’s about running out of gas and feeling like it’s time to move on. GETTY IMAGES AB de Villiers of South Africa celebrates scoring a century during day 3 of the 2nd test against Australia on March 11. 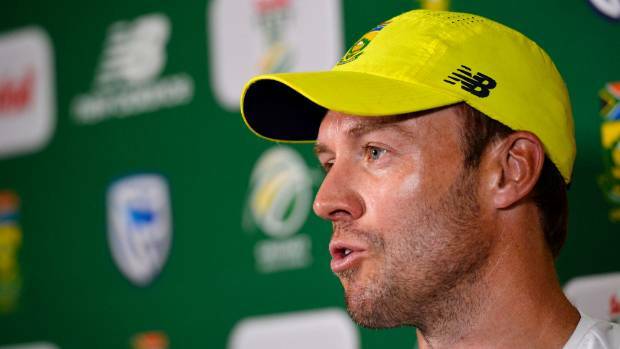 READ MORE: * Black Caps coach joins ICC committee * Cricket Australia secures major sponsor * Andrew Strauss steps aside at the ECB GETTY IMAGES AB de Villiers played 114 tests and 228 ODIs for South Africa, finishing as the No 2 ranked batsman in ODIs and No 6 in tests.